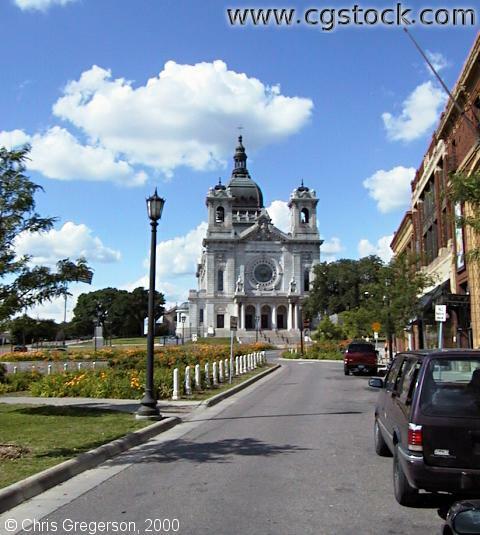 You are on Harmon Place looking north at the Basilica of St.Mary. The Loring Playhouse is out of frame to the immediate right. Loring Park is behind you.